Swimming Superstar Michael Phelps Emerges From Retirement : The Two-Way Phelps, who has won 22 Olympic medals, including 18 gold, plans to compete in Arizona later this month. Michael Phelps swims in the men's 200-meter individual medley heat at the 2012 Summer Olympics in London. Swimmer Michael Phelps, the most decorated Olympic athlete in history, is coming out of retirement. Patrick Sandusky, the U.S. Olympic Committee public affairs officer, tweeted this morning: "It is official, Michael Phelps is back.... competing next week in Arizona." Phelps, who will be 29 in June, has already competed in four Olympic Games, winning 22 medals, including 18 gold. There is no word yet on whether he's looking to compete in the 2016 Summer Games in Rio. The Associated Press quotes his coach, Bob Bowman, as saying Monday that Phelps is entered in three events — the 50- and 100-meter freestyles and the 100 butterfly in the April 24-26 Arena Grand Prix in Mesa, Ariz.
"I think he's just going to test the waters a little bit and see how it goes," Bowman said by phone from Baltimore, according to the AP. "I wouldn't say it's a full-fledged comeback." 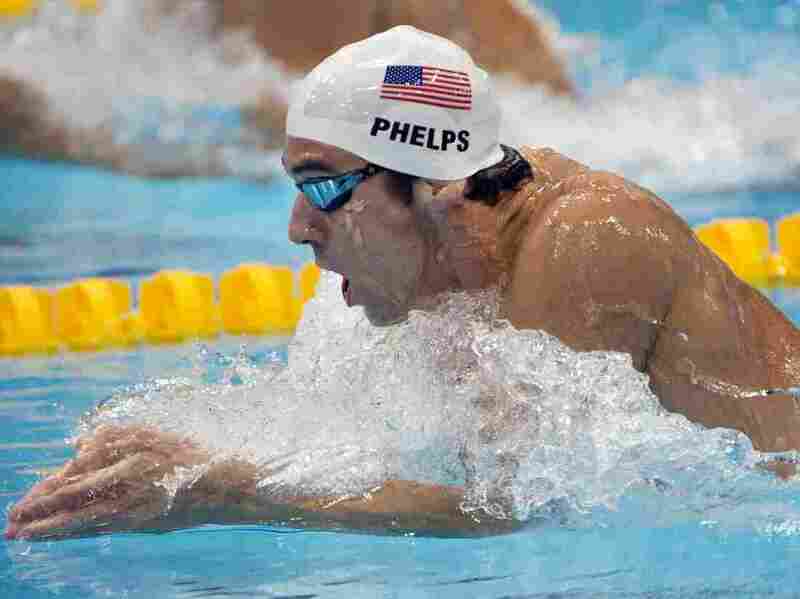 The AP says: "Phelps returned to training last fall and re-entered the U.S. drug-testing program. He has completed his six-month waiting period by the U.S. Anti-Doping Agency to be eligible for competition."